December 26 1908 -- To the amazement of the world of boxing, and the world in general, Jack Johnson has just defeated Tommy Burns to become the first black world heavyweight boxing champion. Herriman notes that another superb black heavyweight fighter, Sam Langford, is waiting in the wings hoping to face Johnson. 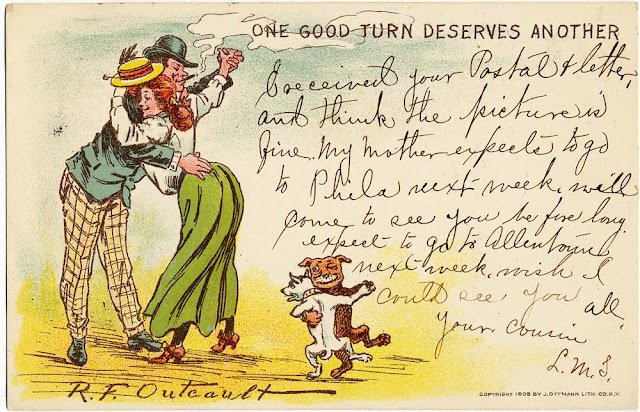 Here's another Outcault postcard from that 1905 J. Ottmann series. Hey, watch that hand, Mister, and flick that ash, too, before ya burn her hair. And someone throw a bucket of water on those dogs, for goodness sake. 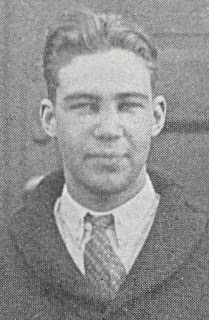 Aleyn “Al” Henry Burtis was born in Garden City, Kansas, on March 29, 1904, according to America’s Young Men, Volume 3 (1938) and Who’s Who on the Pacific Coast (1949). His parents were Arthur Henry Burtis and Sadie Mack. In the 1905 Kansas state census, year-old Burtis was the youngest of five children. The family of seven resided in Garden City, Kansas. The 1910 U.S. Federal Census recorded the Burtis family twice. The family of six was in Garden City, Kansas, and Valparaiso, Center Township, Porter County, Indiana at 822 Laport Avenue. Burtis’s father was a broker. The 1915 Kansas state census listed the Burtis family in Garden City, Kansas. Burtis’s address in the 1920 census was 412 North 7th Street, Garden City, Kansas. 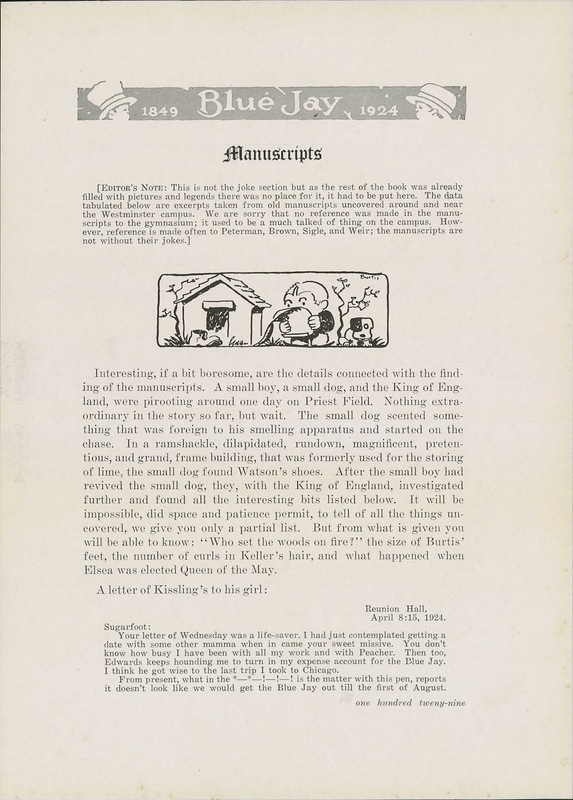 A hint of Burtis’s artistic talent was noted in St. Nicholas, February 1918, which listed his name among many contributors. 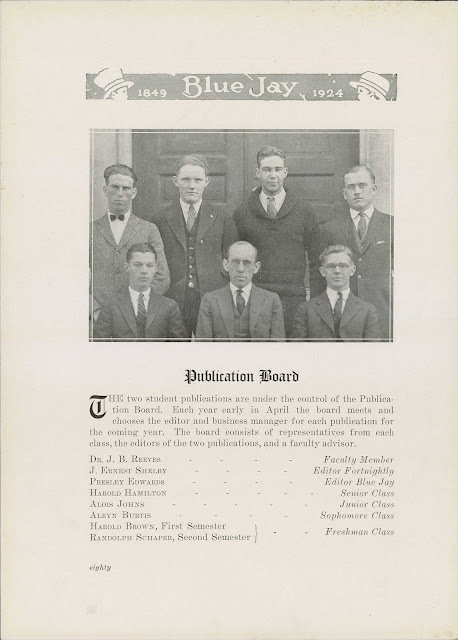 Who’s Who said Burtis was a student, from 1923 to 1924, at Westminster College in Fulton, Missouri. Burtis did spot illustrations for the 1924 yearbook, The Blue Jay. The Evening News (North Tonawanda, New York), December 3, 1924, published the names of candidates, including Burtis, for the West Point admission examination. Tickets for “Shoot to Kill” which will be presented by W.A.A., April 17 and 21, at the Evanston Country club will be on sale today at U.H. and at Chandler’s and Du Breull’s. …Scenery for the shoe is now almost complete. Aleyn Burtis, Jack Leimoet, and Cameron Garbutt have been constructing the sets which include the interior of a summer hotel for the first act and a garden for the second. Yellow is the predominating color used to carry out the theme of bananas which runs through the plot. “Banana Split,” the last song number before the finale, will be a blaze of yellow carried out not only by scenery but by banana costumes of the choruses. Who’s Who said Burtis was, in 1926, a member of the advertising department of Wahl-Eversharp in Chicago. According to the Iowa marriage records at Ancestry.com, Burtis was a Chicago resident when he married Elizabeth Alden Evenson on November 2, 1929 in Sioux City, Iowa. The newlyweds were residents in Queens, New York, at 3432 91st Street, in the 1930 census. Burtis’s occupation was commercial artist. 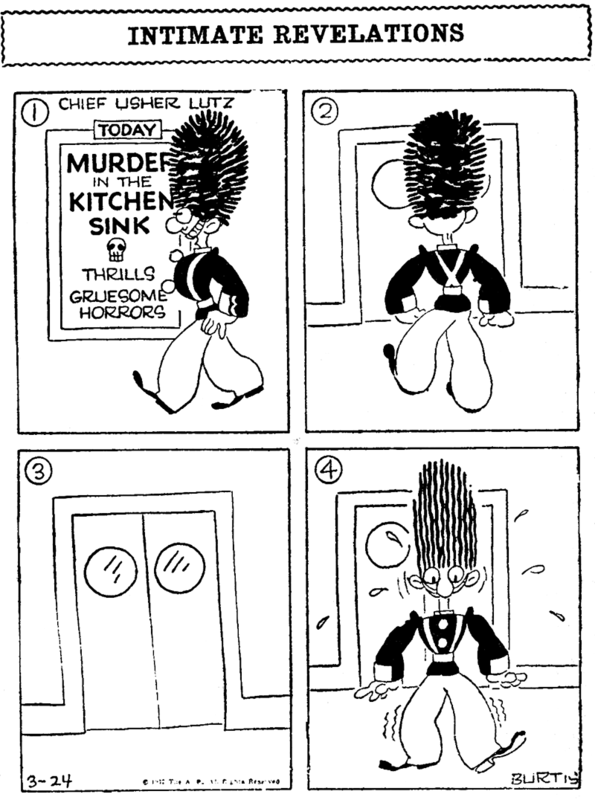 American Newspaper Comics (2012) said Burtis produced a series of panel cartoons, from 1930 to 1932, for the Associated Press. As part of the Associated Press promotion, Burtis was caricatured and appeared on the front page of the Sarasota Herald-Tribune (Florida), March 26, 1930. When the panel ended, Burtis did the strip The Dillys which ran from June 6, 1932 to March 9, 1935. It was syndicated by the Associated Press. 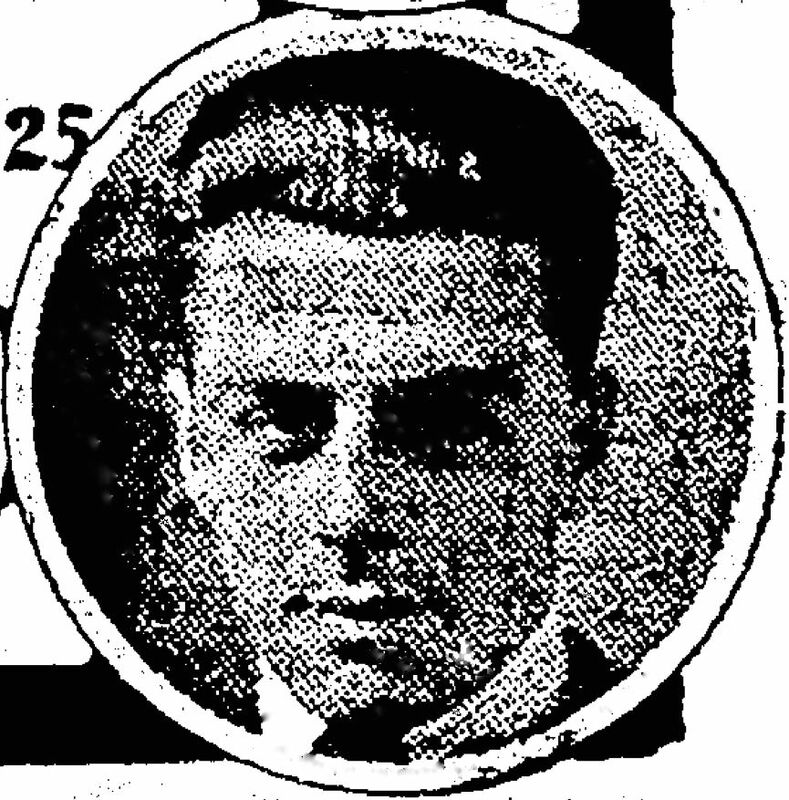 The Daily Star (Long Island City, New York), March 30, 1933, reported the birth of Burtis’s son. At the time Burtis resided at 37-28 80th Street in Jackson Heights, New York. At some point Burtis moved Des Moines, Iowa where he held a series of jobs. The 1936 city directory listed his home at 653 41st. Burtis was in the sales department of the Iowa Broadcasting Company. 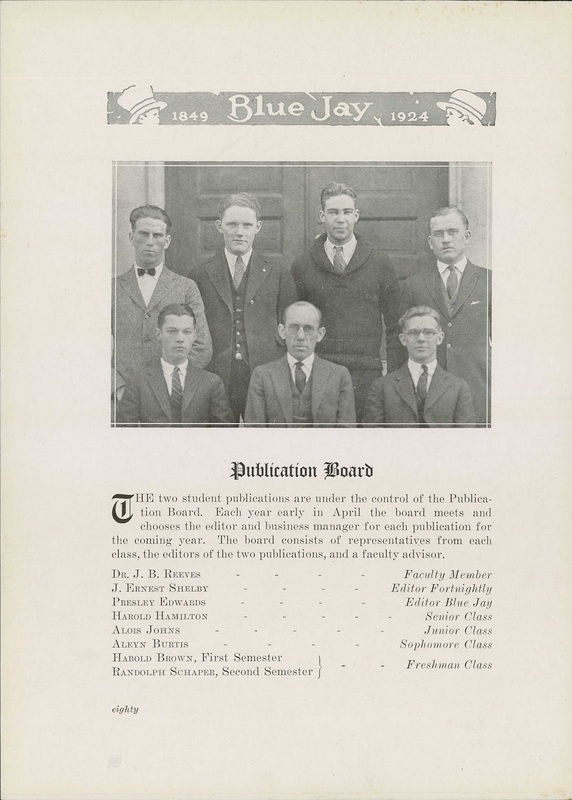 In 1937 Burtis was an executive assistant at the Register & Tribune. Burtis’s address was 4010 Woodland Avenue in the 1938 and 1939 directories. He was employed as an assistant general manager at Look Inc. Who’s Who said Burtis was with Look magazine, in New York City, to 1942. During World War II Burtis served in the Army Air Forces. The Daily Argus (Mount Vernon, New York), October 24, 1942, reported Burtis’s training. First Lieutenant Aleyn H. Burtis, 396 North Columbus Avenue, has completed a six weeks’ course of military instruction and physical conditioning at the Air Forces Officer Training School at Miami Beach, Fla. His wife lives at the Mount Vernon address. Who’s Who said Burtis was a lieutenant colonel and served from 1942 to 1946. He was assigned to the 20th Air Force in Saipan-Guam. Burtis has not yet been found in the 1940 census. 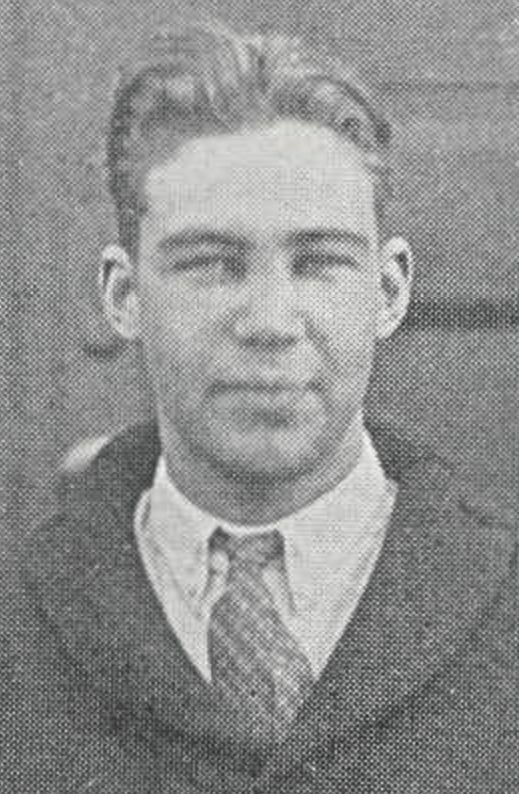 The 1943 Kansas state census listed Burtis as a resident of Topeka. Having completed his military service in 1946, Burtis moved to La Junta, Colorado where he was owner and publisher of the Tribune-Democrat newspaper. America’s Young Men said Burtis had two children in the 1930s: Evenson Mack and Betty Alden. According to Who’s Who, Burtis’s home, in 1949, was at 822 Carson Avenue and his office at 422 Colorado, both in La Junta. Burtis passed away May 24, 1987, in La Junta, Colorado. The Associated Press reported his death which was published in The Advocate (Stamford, Connecticut), May 26, 1987. La Junta, Colo. (AP)—Aleyn “Al” Henry Burtis, 83, the editor of La Junta Tribune-Democrat who helped pioneer offset printing in Colorado, died Sunday after suffering a heart attack. He was 83. Burtis had been editor of the La Junta Tribune-Democrat since he purchased it in 1946. In 1962, he formed Valley Offset Inc., where the Rocky Ford Daily Gazette and the La Junta Tribune-Democrat became the first daily newspapers in Colorado to be printed on a web offset press. Burtis was laid to rest at Fairview Cemetery. 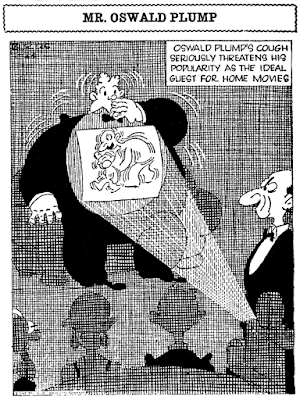 When the Associated Press decided to form a daily comics division in 1930, they did a pretty fine job of putting together an attractive line-up of features, though they certainly didn't have a Who's Who of cartoonists in their stable. 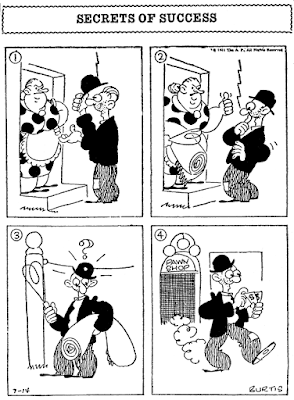 One of those unknown cartoonists was Al Burtis, whose off-kilter humorous sensibilities and stylized art burst onto the scene with the rest of the AP page of comics on March 17 1930. 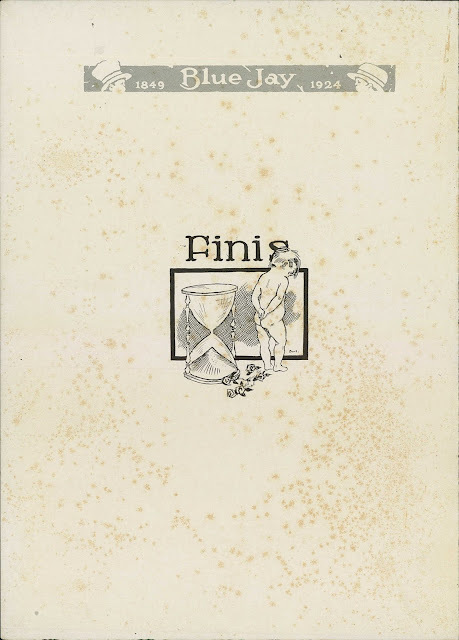 Burtis' panel had a number of running titles, including Secrets of Success, Intimate Revelations, Comfortable and Fat, Contemporary Comment, Momentous Errors, and Modern Improvements. There was also a running character, Mr. Oswald Plump. No matter the days' title, Burtis' wacky sense of humor set him apart from the run of the mill. I think of him as a raw-boned version of Milt Gross or Virgil Partch. He generated his fair share of clunkers, but plenty of the gags had a lovely sense of anarchic zaniness that were just as enjoyably weird as they were funny. Burtis' art can look a little klunky at first blush, but a closer look is rewarded with some fascinating and unusual details. Some of the eyes, for instance, are drawn with the pupils on little stalks. The feet are drawn like sleek rowing sculls. The cross-hatching, when used, can sometimes define an entire scene. And some of his characters look like a collection of over-filled balloons. 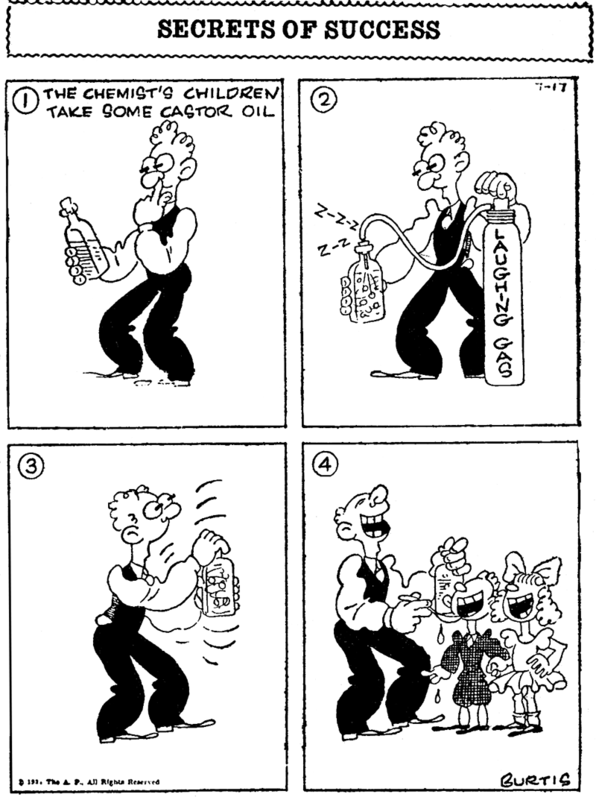 I guess Burtis wanted to try his hand at a comic strip and the AP went along with the plan. 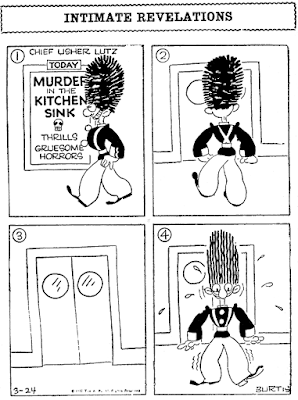 On June 4 1932 his panel cartoon ended and the next Monday his new strip, The Dillys, began. There was some spillover from the panel cartoons, as Oswald Plump was one of the featured players, along with a family of pickle packers. We'll talk more about The Dillys when it gets its own Obscurity of the Day treatment, but suffice to say that it was pretty full of nutty mayhem, but the need for continuity did seem to keep Burtis' imagination a little more grounded, which is unfortunate in my opinion. Thanks to Cole Johnson for the sample scans. Francis William “Mike” Parks was born in Indiana on July 22, 1899. Parks’ birth date was recorded on his World War I draft card, and his birthplace was mentioned in the Warsaw Times-Union Spotlight, September 14, 1974. In the 1900 U.S. Federal Census, Parks was the youngest of two sons born to David and Mary. His father was a Presbyterian minister. The family resided in Center, Indiana. According to the 1910 census, Parks, his parents and two siblings lived in Cincinnati, Ohio at 2103 Langdon Avenue. The family moved when Parks was six years old. 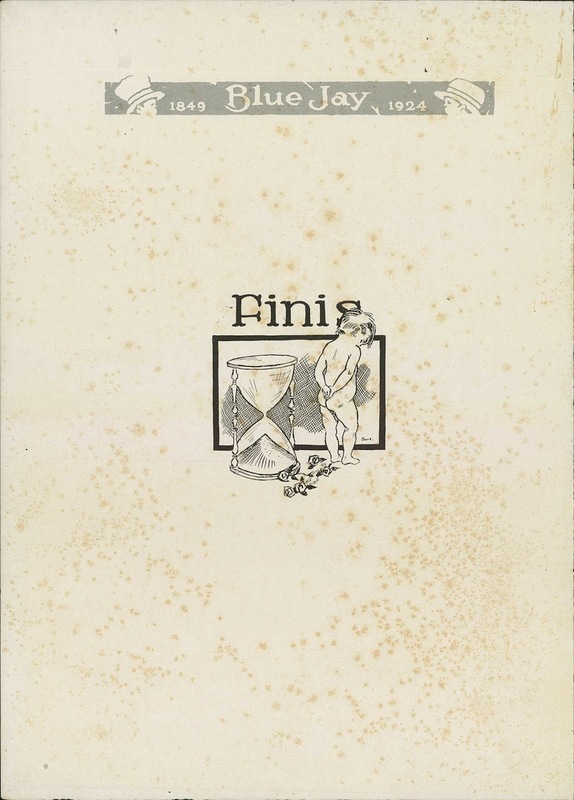 He cut out and collected political cartoons from the newspaper. At some point, Parks moved to Nappanee, Indiana, where he started the eight grade and finished high school in 1917. A Landon School advertisement said: “Four Successful Landon Students From One Village. 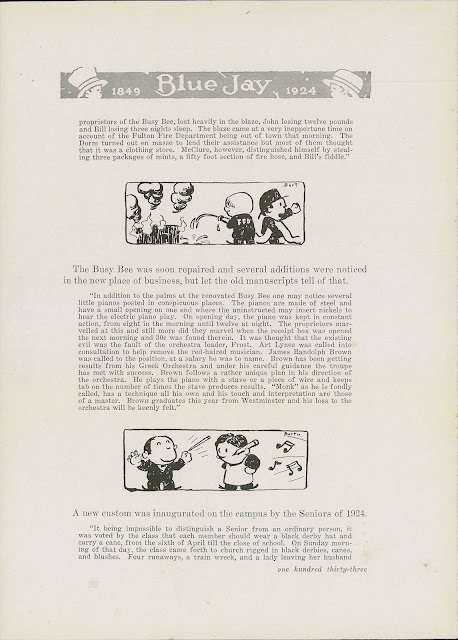 Here is the record of Four boys—all from Nappanee, Ind., (2200 population) who after taking the Landon Course, won national reputations.” The four cartoonists were Merrill Blosser, Henry Maust, Fred Neher and Parks. After high school, Parks attended Wooster College in Ohio but left and enrolled at the Academy of Fine Arts in Chicago. Carey Orr of the Chicago Tribune was his teacher. Parks signed his World War I draft card on April 12, 1918. His address was 1255 Westlake, Lakewood, Ohio. The artist was employed by the Newspaper Enterprise Association. Parks named his mother, in Gooding, Idaho, as his nearest relative. The description on the card said he was of medium height and build with brown eyes and hair. In the 1920 census, Parks was at the same address which was the home of Charles J. Seaholts, a newspaper artist, and his family. 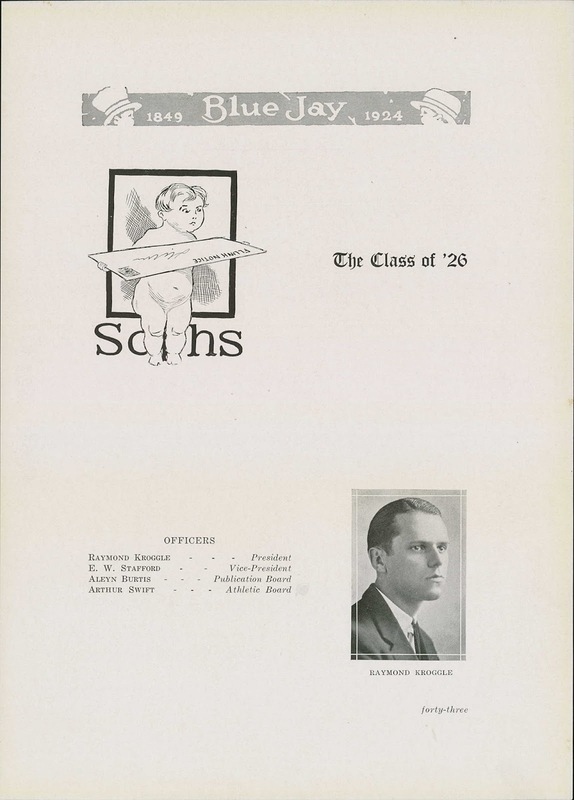 Seaholts was also a Landon School student. American Newspaper Comics (2012) said Parks produced several series for NEA. 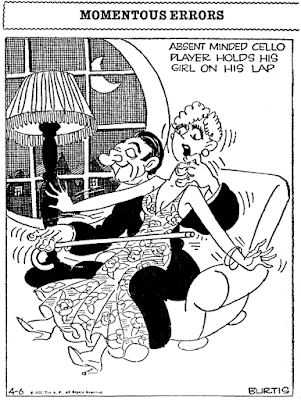 Nutty News debuted April 3, 1919, which was followed by O.U. Busher on December 26, 1919. The following year saw the release of Current News in Verse and Views, January 10; Rare Birds, April 22; The Third Party, August; and Betty and Her Beau, October 27. The 1921 Cleveland, Ohio city directory listed Parks at 1212 West Clifton Boulevard. 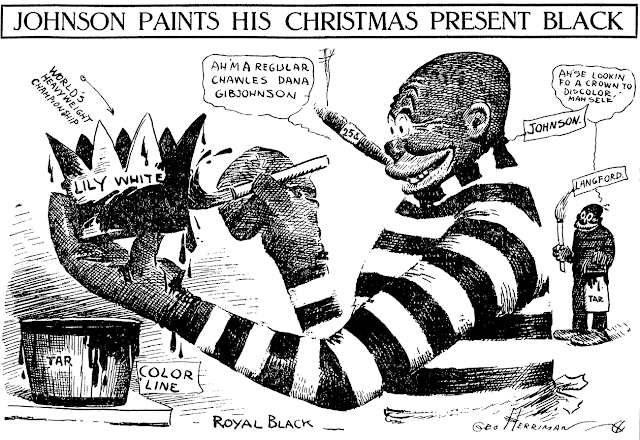 The Fourth Estate, May 28, 1921, noted Parks next move: “Francis Parks, formerly a cartoonist on the staff of the Newspaper Enterprise Association, is now a cartoonist for the Milwaukee Journal.” It’s not known how long Parks was with the Journal. Parks relocated to Omaha, Nebraska. The 1926 city directory had Parks, an Omaha Daily News artist, at 1036 South 31Street, Apartment 4. The 1929 directory said Parks was an art manager whose address was unchanged. The 1930 census recorded Parks, his wife, Lillian, and four-year-old daughter, Patricia, at the same address. 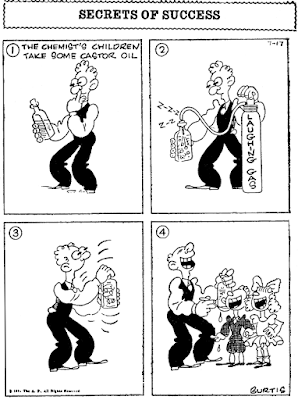 The newspaper cartoonist was 23 when he married. Omaha directories from 1934 to 1936, said Parks was an Omaha Bee-News artist who lived at 4659 Woolworth Avenue. At some point Parks moved to the World-Herald newspaper. He was listed in a 1939 Omaha directory as a World-Herald artist who resided at 4509 Walnut. Parks packed up the family and moved to Oakland, California. His home address in the 1940 census was 22 Vetuan Way. The census said Parks had completed one year of college. “Another artist, Francis Parks, son of a Presbyterian minister, has worked for the Hearst newspapers in the capacity of editorial cartoonist. Currently he is with the San Francisco Call Telegram. His productions are tops from an artistic as well as idea portrayal. Many of his cartoons are reprinted in the largest eastern papers. The 1963 Santa Rosa, Sonoma, California city directory listed cartoonist Parks and his wife at 906 Monroe. The following year’s directory said Parks was retired and residing at 2810 Montgomery Drive. Parks passed away February 22, 1979, in Santa Rosa, according to the California death index. He was buried at the Santa Rosa Memorial Park. F.W. Parks, as far as I know, managed to talk only the NEA syndicate into distributing his 'humor' cartoons to the national stage. Why NEA did this is beyond me, because although Mr. Parks could draw a perfectly decent if pretty standard-issue cartoon, he had a funnybone so small and undeveloped that it could only be detected with special high-sensitivity equipment. Parks's second feature for NEA was O.U. Busher, a tale about a bush league baseball player trying out for the majors. I'm a sucker for any baseball strip, but this one tries even my patience. 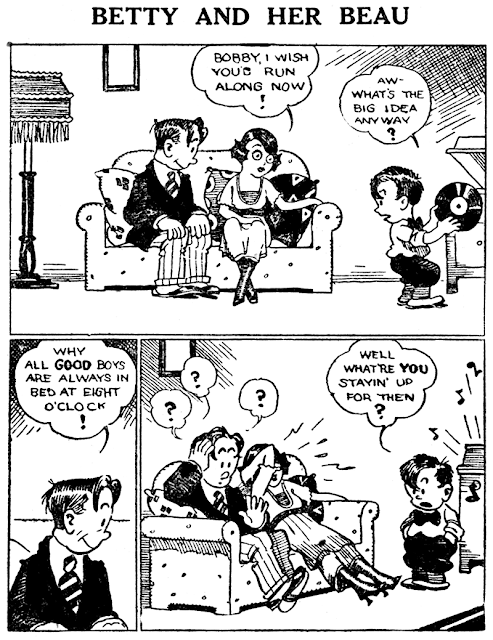 The feature debuted as a sort of Abe Martin-style panel cartoon on December 26 1919. The country bumpkin tells us of his dreams of stardom in the majors pretty much all winter long, boring us all to tears listening to his dim-witted pickle barrel philosophizing. 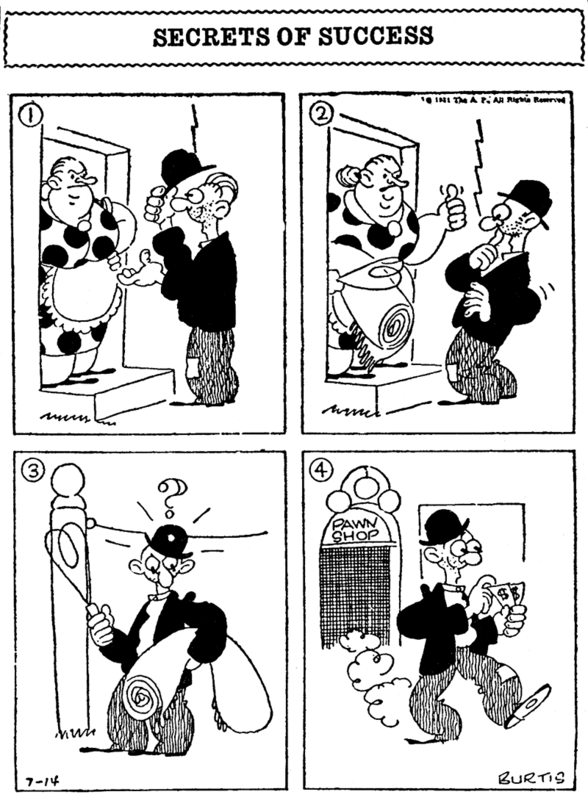 Then on March 1, with spring training starting, the feature changed to a comic strip as O.U. arrived in Waco, Texas, to try out with Pat Gleason's Chicago White Sox. 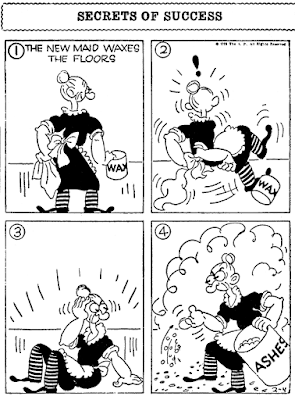 If Parks's panel cartoons had any redeeming qualities at all, they were lost in the transition to strip format. Parks uses old joke book material so ineptly that you wonder if he isn't actually trying to make readers groan. Thankfully, O.U. 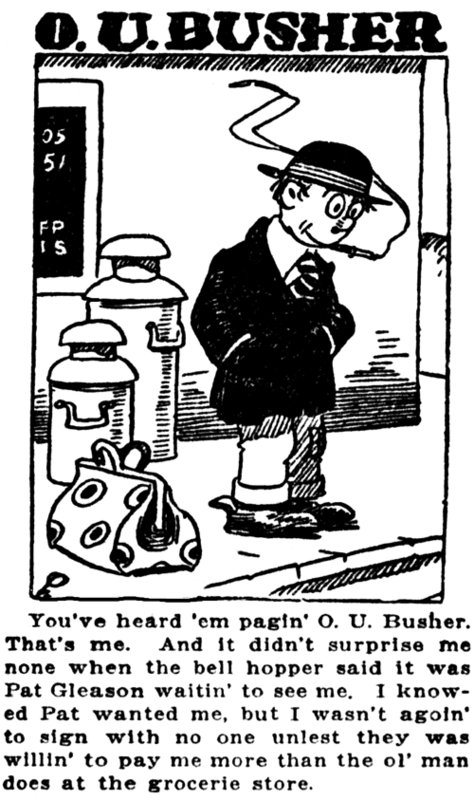 Busher didn't survive spring training and we were spared his 'gags' for the 1920 major league season. 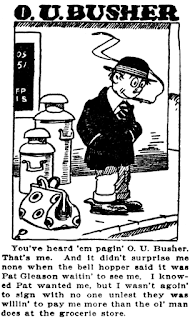 I wonder if Mr. Busher had made the team if he would have been caught up in the Black Sox scandal? Of course, there were no minority players in the big leagues then. .. and that is the end of The Brightest Star, by Jay Heavilin and Walt Scott.